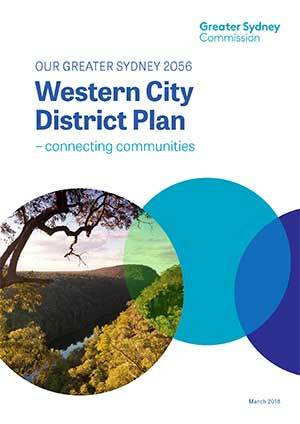 A Metropolis of Three Cities is the region plan for Greater Sydney. It is built on a vision of three cities where most residents live within 30 minutes of their jobs, education and health facilities, services and great places – Western Parkland City, Central River City and Eastern Harbour City. This vision seeks to rebalance the economic and social opportunities and deliver a more equitable Greater Sydney. Greater Sydney’s three cities reach across five districts: Western City District, Central City District, Eastern City District, North District and South District. The Western City District is framed by the region’s Protected Natural Area and Metropolitan Rural Area. Its primary focus is the Western Parkland City. Over the next 20 years the Western Parkland City will transform, drawing on the strength of the new Western Sydney Airport and Badgerys Creek Aerotropolis, and the first stage of a North South Rail Link that will create the opportunity for a Western Economic Corridor. The Western Parkland City will capitalise on the established centres of Liverpool, Greater Penrith and Campbelltown-Macarthur, which form a metropolitan cluster. The Western City District’s extensive rural areas include agriculture and mineral resources that supply the region with fresh local produce and construction materials. Rural towns and villages serve surrounding communities and are popular tourist destinations. 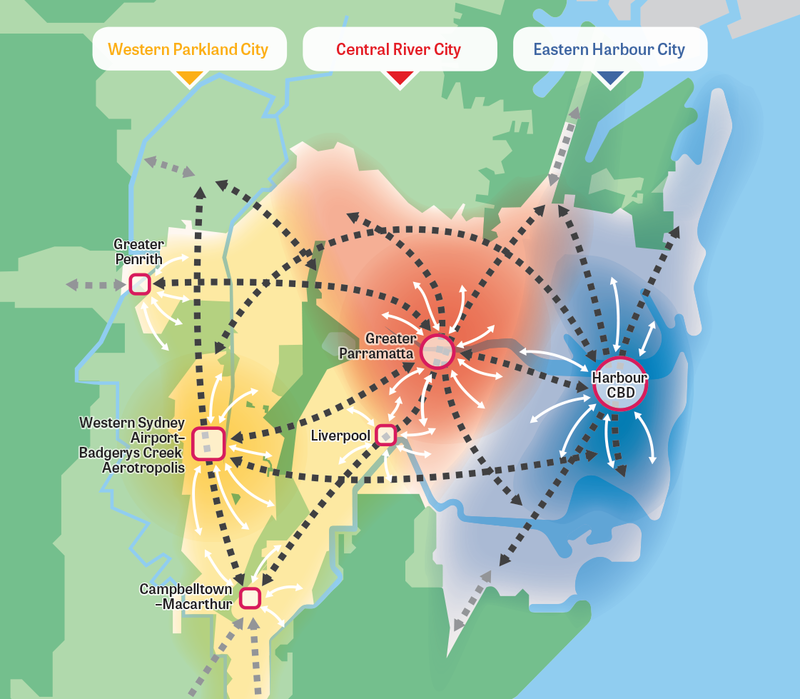 Potential new city-shaping transport links, including an Outer Sydney Orbital linking to Newcastle, Wollongong and Canberra will make the District the most connected place in Australia. Major transport, health and education investments are underway across the District. The Western City District will grow over the next 20 years with demand for an additional 184,500 dwellings. This will be provided in land release areas and urban renewal close to existing centres. The focus of growth will be on well-connected and walkable places that build on local strengths and deliver quality public places. Western Sydney Airport, Badgerys Creek Aerotropolis and health and education precincts will support knowledge-intensive jobs growth in the District. The District includes expansive industrial and urban services lands to the north and east of the Airport, supported by a freight link, to serve Greater Sydney’s long-term freight, logistics and industrial needs. An integrated approach to green infrastructure – waterways, bushland, the urban tree canopy and open spaces – will improve sustainability and amenity as the District changes. New cool and green neighbourhoods and centres with generous open spaces in a parkland setting will be developed along South Creek and its tributaries. This will connect to the Greater Sydney Green Grid to support walking, cycling and community access to open space.